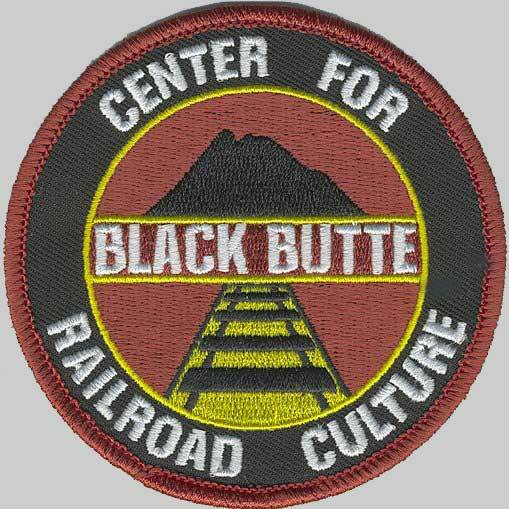 See all our stuff at the BBCRC Online Store! 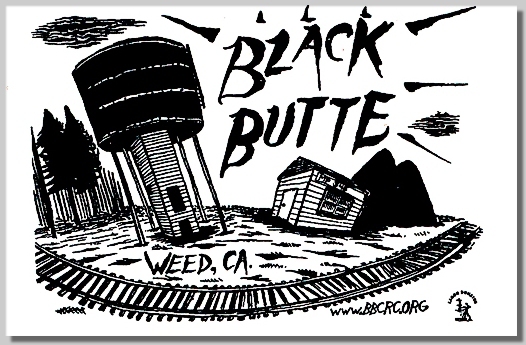 We have a variety of BBCRC produced items — including t-shirts, patches, zines and stickers — available for sale, either through our online store or from our office, the impressive building behind Moss in the photo below. Sale of all items helps fund BBCRC operations and is a great way to support our efforts. 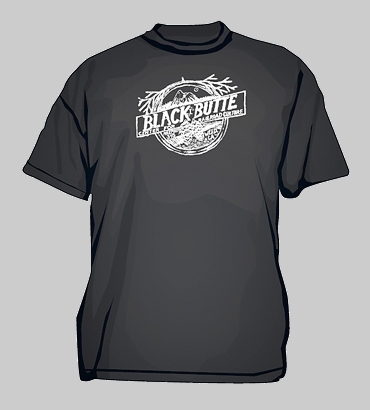 Some items, particularly t-shirts, are best purchased in person when you visit us at Black Butte. New! 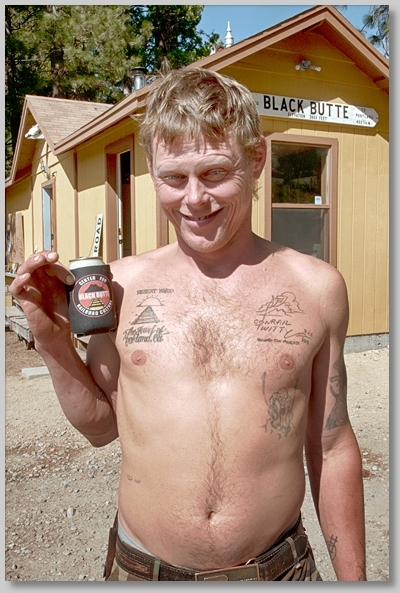 BBCRC beer koozies! Keep your Hamm's cold and your fingers warm with our high-quality four color union made koozies. $5 on site or available through our online store with a $10 donation. T-Shirts are available in black, green or grey and in XL, L, M or S sizes. We generally have women's cut shirts in L, M and S. Not all sizes and colors are always available which is why it is best to pick one up in person. 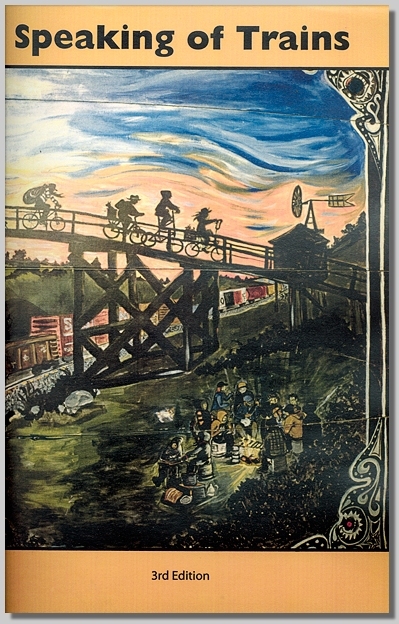 The third edition of "Speaking of Trains" was published in early 2013 in cooperation with the BBCRC. This 67 page illustrated zine is a glossary of modern day slang terms used by trainriders and rail workers. Learn all about doogles, dupes, and the difference between "elephant style" and "turtle style." You can pick up a copy in person at the Center. 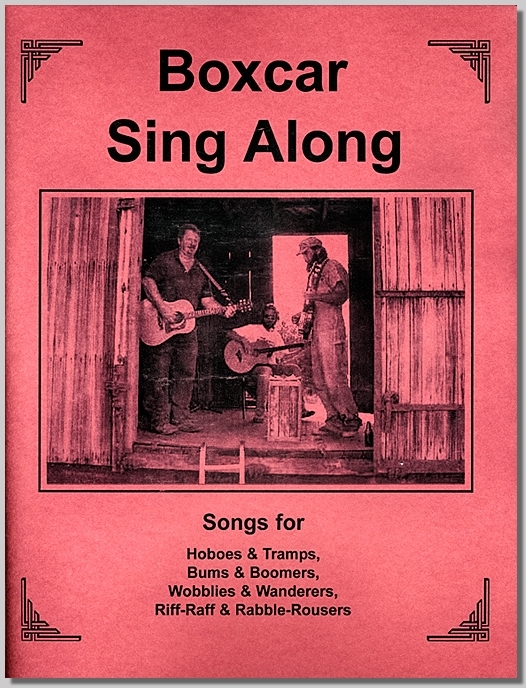 The BBCRC's Boxcar Sing-Along Songbook, compiled by Baltimore Red, was published in mid-2013. It is available onsite at the BBCRC or from our online store — here is a detailed description of the book. 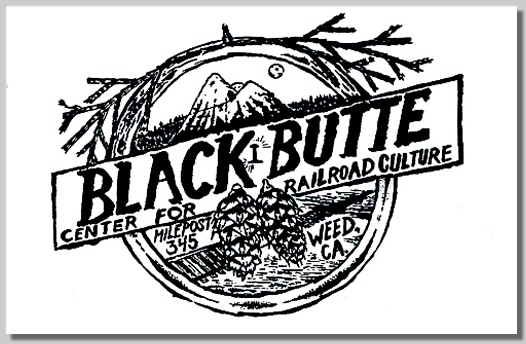 These two Black Butte stickers shown above (artwork by Joey Alone) are available at Black Butte or from our online store.